Specializing in performing your favorite dance hits from the past 40 years, Chicago’s hottest dance band sensation, Ear Candy, turns every night into the ultimate dance party! Like a great radio station, Ear Candy effortlessly shifts between dance floor smashes by artists such as Usher, Rihanna, Prince, P!nk, Michael Jackson, Enrique Iglesias, Justin Timberlake, the Bee Gees, Taio Cruz, INXS, Earth, Wind & Fire, KC and the Sunshine Band, the Commodores and the Black Eyed Peas without missing a beat. The result is a continuous mix of high-energy songs that are as danceable as they are instantly recognizable! While their interactive and energetic live performances have become their trademark, what truly sets Ear Candy apart is their ability to connect with audiences of any age. This ability to entertain people ages 3-103, along with their hard-working and professional demeanor make them the perfect fit for private/corporate parties and festivals, as well as clubs and bars. 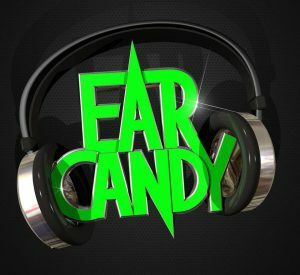 So, if you are looking for a live band that mixes the very best dance songs of all time into one non-stop party, look no further…Ear Candy creates the music your ears are longing to hear!